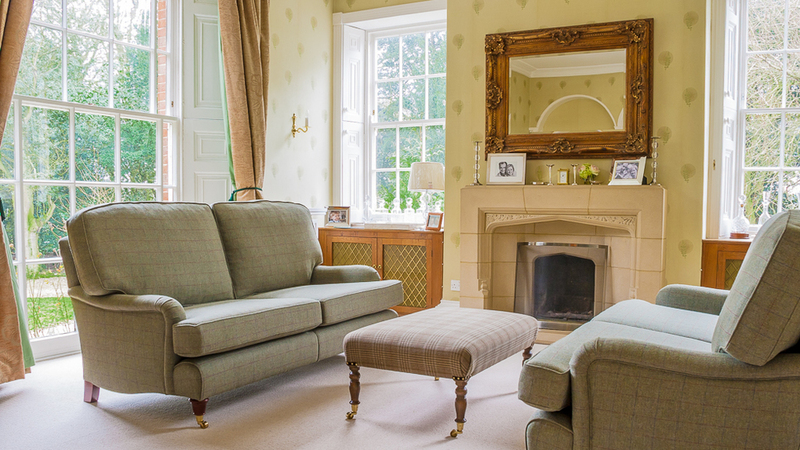 This is a our "Beckingham" sofa, a classic Howard style. All our handmade sofas and chairs have a 10 year warranty on the frames as they will withstand many years of constant use. 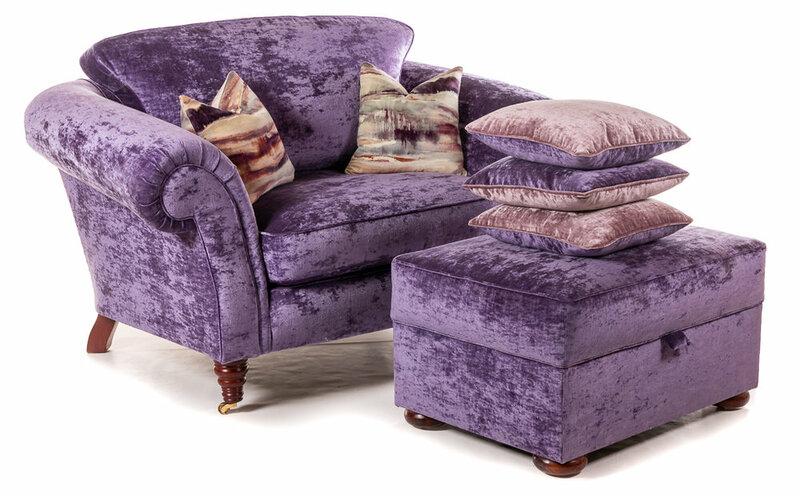 The Crowther & Sons Collection features a ever growing number pieces designed and hand worked by master upholsterers, Edward Crowther and his sons, Ed and Daniel, and team in their Lincoln workshop. These innovative items of furniture push the boundaries of creativity in upholstery and also provide inspiration for clients. Edward and Ed carve their initials and the date into the hardwood frame of each limited edition design in The Crowther & Sons Collection. Over the years they have learnt to embrace both traditional and modern methods of construction to create the most luxurious and durable furniture you will find. Depending on the model you choose the furniture is then upholstered using either traditional materials such as hourglass coil springs hand fitted to English jute webbing, hand-stitched hair, coir, hessian and woolen felt or the modern method of construction using the finest high resilient foam filling, the seats are a Synet™ webbed base to give years of trouble free and comfortable use. "Over the years I have been re-upholstering sofas, chairs and suites, and have found many design faults that have shortened their life. 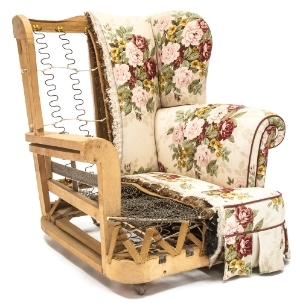 Many have had to be repaired that have a zig-zag sprung or otherwise known serpentine springs in the seats because they have stretched, softened or broken. As a result I do not use them in any of the Crowther & Sons furniture. Likewise with frame construction, many have had to be repaired and strengthened due to being poorly built, so again we have taken out these faults in the construction of there frames to produce frames that will last a lifetime."